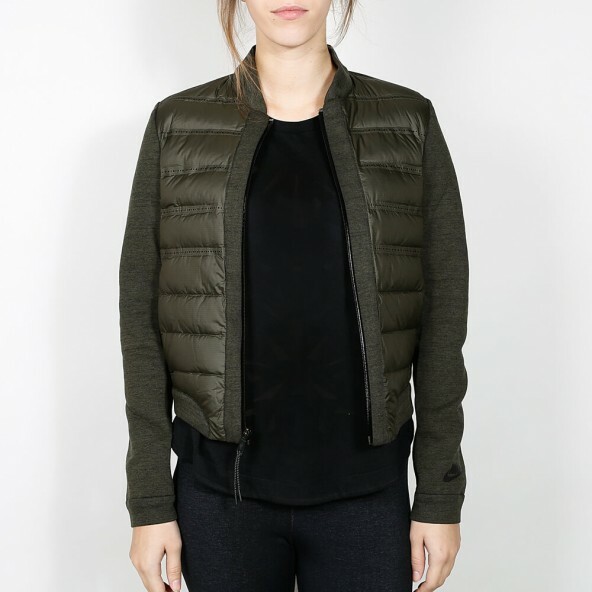 This bomber jacket for women is part of the new Nike Tech Fleece Aeroloft Collection 2015 and combines a stylish look in a bomber design with the functionality of innovative technologies that secure you against the weather of upcoming cold seasons. 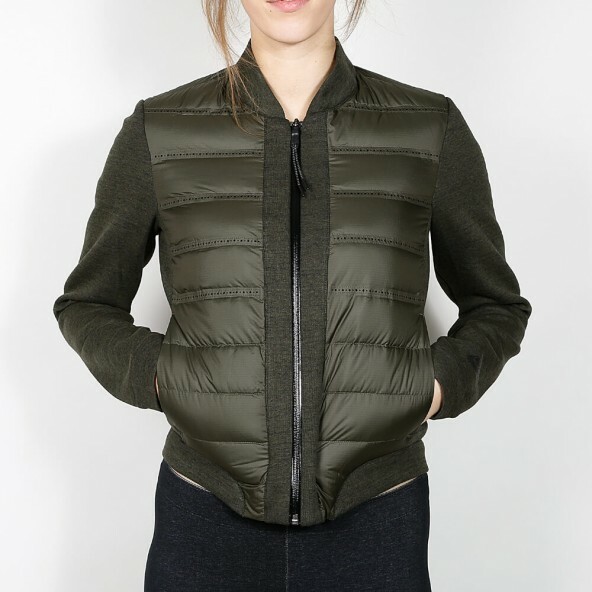 The down filling on the front and back of the jacket produce heat and also accumulate it - also the filling is perforated in its chambers to provide the necessary breathability. 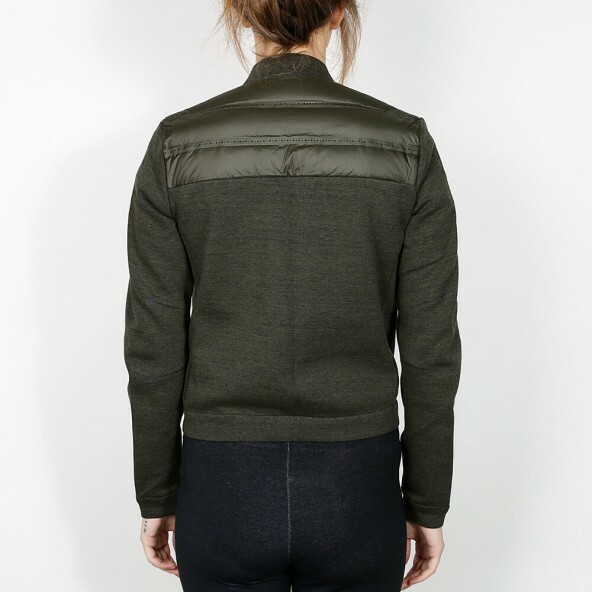 The soft Tech Fleece is extremely isolating and light.